You know it exists but now you can put it on your bedside table. 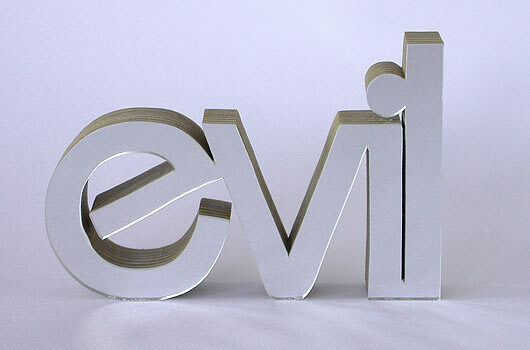 Hand carved from timber ply with a choice of mirrored or black, white or red laminex surfaces, the evil word gets straight to the point. Crafted in the Bauhaus font, the writing on the wall could very soon be the only thing worth saying.